My name is Chris Johnson. I’m a 31 years old lawyer currently working for the local social welfare office, trying to get together the last missing bucks I need to open up my own office. The day it happened I was supposed to go for an eagerly awaited vacation on Long Island. A foul stench and distant screams coming from the streets woke me early in the morning, long before I was supposed to get up and leave for my flight. All of a sudden John, the neighborhood's milkman, burst screamingly through my front door next to my room, remaining gruntingly at the threshold of the door for a moment while still being covered by the darkness of the night. It was only at that moment that I realized that the stench and distant screams were more than the usual infantile mischief taking place in our district. Once he had stepped forward I noticed his bloodstained and mutilated body and saw with horror that his head was half decapitated. His fearsome eyes were lifelessly gazing at me. I was paralyzed at first, wondering how something with less brain matter left than a stuffed animal was still able to wander around. But when I saw that in one hand he was holding a broken milk bottle, which had instead of white milk red blood smeared all over it, I could only think of one thing: to get the hell out of there. It was at 11 a.m. when the first Black Hawk rescue squads began their dangerous search for survivors. Many surviving civilians were soaked in blood, making it impossible for the squads to distinguish friend from foe. A large number of survivors couldn't make it into the areas that were big enough for a Black Hawk to land. And even if they did: it didn't take a long time for the zombies to attack a landed helicopter. 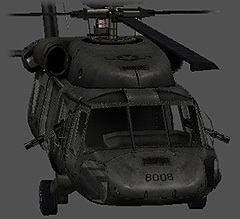 Each Black Hawk is equipped with 4 Rangers as a defence and 2 miniguns for covering fire. They are your only chance to survive! Find one and get as many of your friends as possible to the landing site! The M1A1 Abrams deployed by the U.S. Army is the most efficient weapon in this situation. It limits the risk of losing any soldiers to almost zero. On the other hand this tank is very dangerous for everyone it comes across. Its firepower is tremendous and kills zombies as well as survivors. The crew cannot leave the tank and is therefore depending on its instruments to identify civilians. 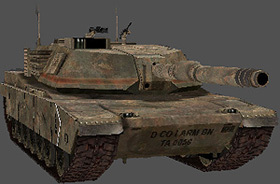 The purpose of the M1A1 Abrams is not to rescue, but to simply destroy as many enemies as possible.